Right: September 06 2012. 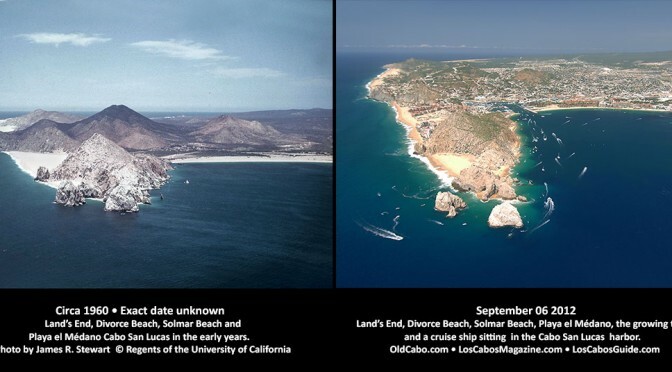 Land’s End, Divorce Beach, Solmar Beach, Playa el Médano, the growing town, and a cruise ship sitting in the Cabo San Lucas harbor. Below is an older version of similar images. Does anyone have any information about the image on the left above? 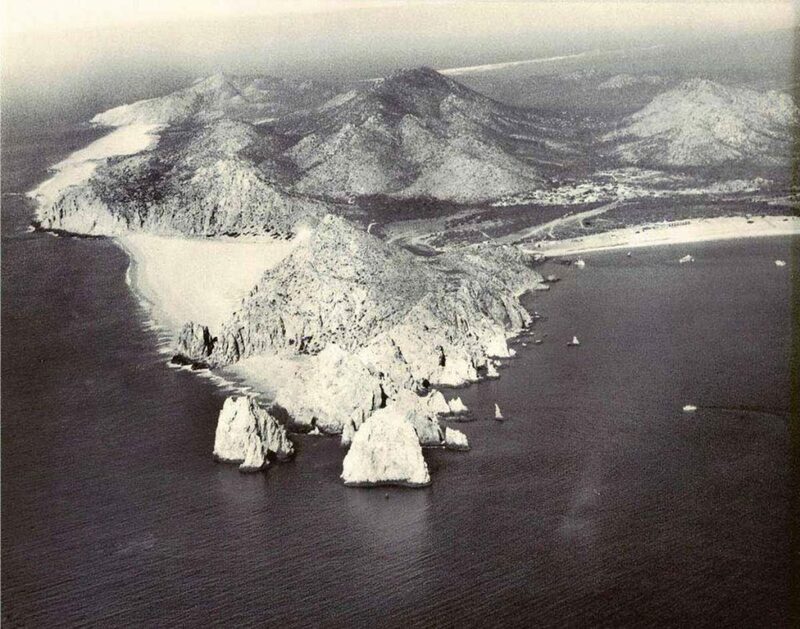 This aerial view of Land’s End at Cabo San Lucas was found on the internet but I have not been able to exactly identify the date it was taken, the source of the image or the owner. Any information would be appreciated. This is another version of the Land’s End image from the internet. This shows more of Medano Beach. Exact date taken and the source of the image or the owner is unknown.